يشكل فندق بيبيرز بيتش كلوب بموقعه الممتاز في المدينة نقطة انطلاق جيدة لاستكشاف أفضل ما فيها من معالم ومناطق نابضة بالحياة. يمكن من هنا للضيوف الاستمتاع بسهولة الوصول إلى كل ما تقدمه هذه المدينة النابضة بالحياة. سوف يعشق النزلاء موقع هذا الفندق، فهو قريب من أهم المعالم السياحية في المدينة . ببساطة كل الخدمات وأساليب الضيافة التي تشتهر بها Mantra Group تجعلك تشعر وكأنك في بيتك. لضمان راحة ضيوفه، يقدم الفندق الخدمات التالية: مكتب الاستقبال على مدار الساعة, تخزين الأمتعة, واي فاي في المناطق العامة, صف السيارات, خدمة الغرف . بالإضافة لهذا، تتضمن كل غرف الضيوف مجموعة واسعة من وسائل الراحة . بعض الغرف توفر حتى تلفزيون بشاشة مسطحة, بياضات, مرآة, حوض الاسترخاء, غرف لغير المدخنين لإرضاء أكثر الضيوف تطلبًا. إن حوض استحمام ساخن, مركز للياقة البدنية, حمام سباحة خارجي, سبا, تدليك هو المكان الأمثل في الفندق للاسترخاء وتفريغ طاقتك بعد نهار طويل. إن كنت تتطلع إلى إقامة مريحة وهادئة في المدينة، فستجد في فندق بيبيرز بيتش كلوب بيتك الثاني. Staff stood out - by far the most accommodating team! Fantastic Resort. 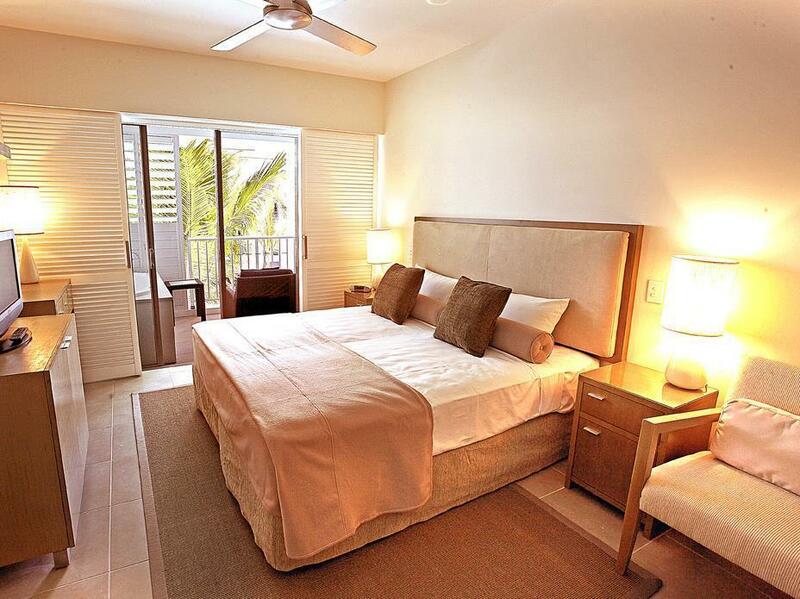 Rooms are modern and well equipped. Staff are wonderful and helpful. Everything within walking distance. Amazing location as it was easy to walk to and from most places in Port Douglas. Breakfast was delicious and fresh with a lot of variety. Not a massive deal breaker but found the gym to be quite small with not a lot of different machines. The large pool was beautiful however was not as refreshing as it could be as the water temperature was warmer then being outside of the water. Be mindful if you chose a outdoor spa room that there is no privacy blind on the balcony. Overall my partner and I scored the accommodation an 8.1 stars! Stayed 4 nights. Beautiful pool & gardens. Spacious apartment. Very convenient location. Close to beach & main shopping/Restaurants area! No daily room service for the room rate, which was more expensive than similar accommodation in Palm Cove! 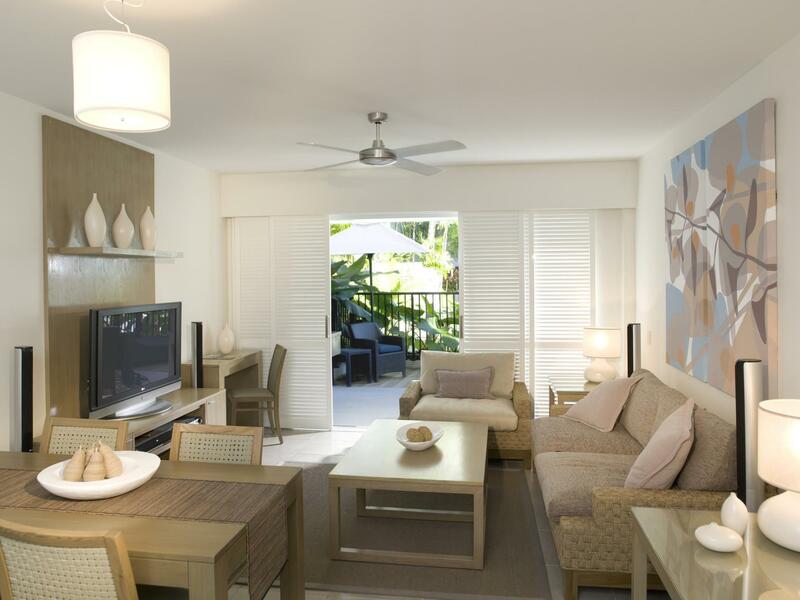 Great spot to explore Port Douglas, beach and shops/cafes are within walking distance! Nice pool and relaxing vibe, but... On arrival after a brief greeting I was told that if I lost a room key, there would be a $300 charge to replace locks. This comment was very unnecessary and made me feel as if I was a child. There were several amenities not available due to floods in recent months. There was no reference to this on website. Cable tv, wifi and gym were not available. Tried ordering room service after the family each made a selection from menu in room. When calling to place order was informed that that menu was no longer available. There was nothing of interest to my family on the menu offered over the phone. Finally, there was a large patch of mould spores on the ceiling of the living room. 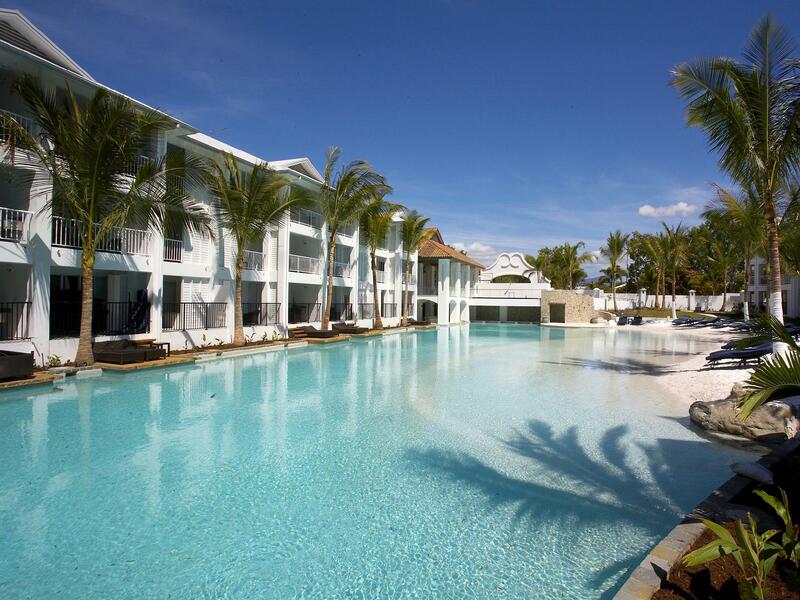 Short walk to the beach and restaurants, beautiful lagoon pool, and facilities. Staff was personable and friendly and helped booking tours. Very good to relax couple of days. Great staff, amazing pool. We absolutely loved Peppers Beach Club Hotel. The swimming pool setting was beautiful and the service of all the staff was excellent. The room was very comfortable and tranquil. We would definitely stay there again. Really nice hotel, short walk to the beach and restaurants. I would stay there again. We were given corner apartment with a private pool but we ended up not using ours since the sandy pool was so much fun. Location was good, the beach and marina are both within walking distance. The suite was big with nice kitchen and lounge area. Bed was too soft and pillows were too dense for our liking. The bedroom smell a bit like urine without the aircon on. The floor could do with a vacuum and mopping. The bedroom and the adjoining room had no ceiling lights. Only lamps which meant it was quite dark at night. We booked the suite under the impression that it had the spa or bathtub (from Agoda's room descriptions) but after checking in was told only the spa suite had it. The kitchen had good supply of kitchen utensils and daily cleaning and restocking was great. Breakfast was ok not much of a spread. We were only told upon entering the restaurant that it was an extra $5pp for hot foods (bacon eggs etc) as its not included in the Full Breakfast description. The best part was the Pool! Our kids loved the pool and we spent most of our time there. The manmade beach was awesome and kid-friendly. Location was good with short stroll to shops and beach. We stayed here with 2 children ,7 and 8 years for 8 nights in a two bedroom suite! It was perfect in every way and the staff were brilliant! Loved every minute and will certainly be returning! OUR THREE NIGHTS IN A ONE BEDROOM SUITE (UPGRADED TO A PENTHOUSE) WAS VERY COMFORTABLE. EXTREMELY SPACIOUS, CLEAN , AND HOUSEKEEPING WAS VERY THOROUGH. UNFORTUNATELY A LITTLE COOL TO USE THE POOL EVERY DAY, BUT EVERYTHING Was well maintained. check in and out was quick and easy. would definitely stay again. We had a great stay at Peppers. The staff were really friendly, and the location is perfect, just 10 mins walk into town. A thumbs up from us! Brilliant place to stay at. Highly recommend staying there. During the time of our stay at the hotel was nice. 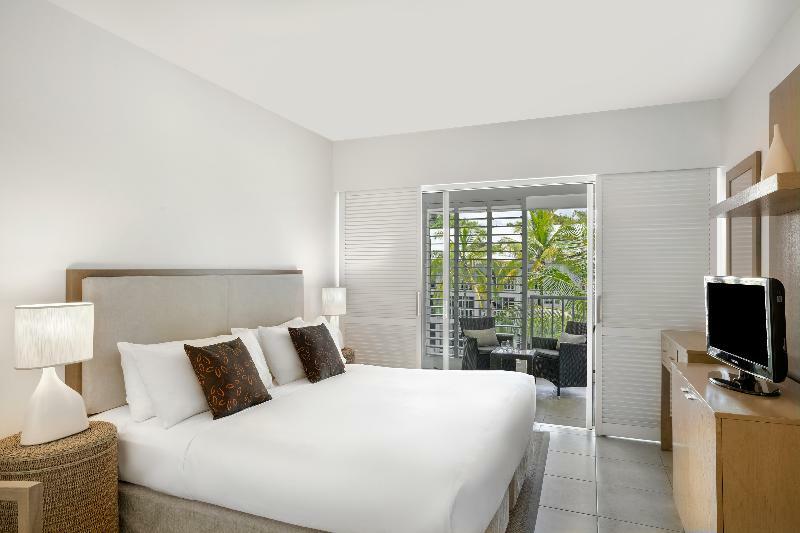 We celebrated our anniversary at Port Douglas and decided to stay at the peppers Beach Clubs hotel. When we checked into the room, there was a Bottle of wine with a bucket of ice and a small note saying congratulations on our wedding anniversary. We understood that it was a gift from the hotel as we actually paid for the room very expensive during the Christmas time, there was a card in front of the bottle of wine which stated "congratulations on our anniversary". However, we had received a bill for using of the mini bar after we checked out when we did not use any mini bar at all. We tried to ring the hotel reception back, but the lady at the reception was rude and did not cleary answer our questions why the hotel charged for the mini bar. She recommended us to email the hotel management team for any inquiries as she said that she was busy with a group of people who were checking in to the hotel. We did email the hotel management team as suggested and asked them why they charged for a bottle of wine when there was a note in front of the wine saying that it was a complementary. We have been to many five stars hotels that they always provided a plate of fruits or a bottle of wine for customers as a complementary gift and they did not charge us after we checked out, because those hotels were honest and royal to customers. Whereas, the Peppers Beach Clubs Hotel have charged customers. We still have not receive any feedback from the hotel regarding the charge yet and we are very disappoint with the hotel management team and customer service of this hotel. We really had a bad experience with the customer service here and We strongly don't want to recommend this hotel to anybody if you don't want to be charged after your stay.